Rural Son Terrassa in Cas Concos is a country house with 9 Rooms. 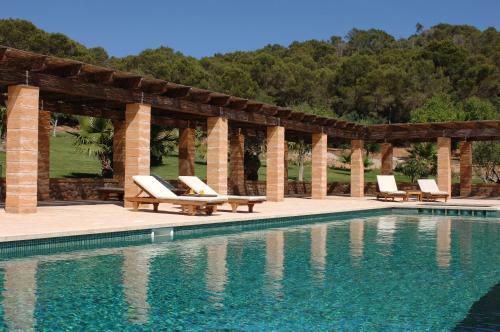 Set in countryside, just outside Cas Concos des Cavaller, Hotel Rural Son Terrassa is 50 km from Palma de Mallorca. 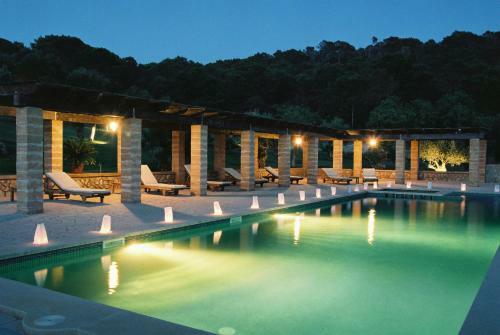 It features a seasonal outdoor pool and free Wi-Fi. All rooms have a spa bath. Air-conditioned rooms have a minibar, flat-screen TV and safe. The private bathroom comes with a hairdryer, free toiletries, bathrobes and slippers. A free breakfast is offered and the hotel restaurant offers a varied menu. There is also a bar. Luggage storage and a laundry service are offered. Free park...ing is available and there is a tour desk. Vall D’Or Golf Club is 6 km from the hotel and the sea is 10 km away. 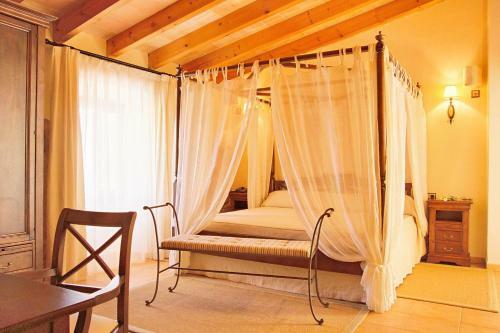 Set in countryside, just outside Cas Concos des Cavaller, Hotel Rural Son Terrassa is 50 km from Palma de Mallorca. It features a seasonal outdoor poo...l and free Wi-Fi. All rooms have a spa bath. Air-conditioned rooms have a minibar, flat-screen TV and safe. The private bathroom comes with a hairdryer, free toiletries, bathrobes and slippers. A free breakfast is offered and the hotel restaurant offers a varied menu. There is also a bar. Luggage storage and a laundry service are offered. Free parking is available and there is a tour desk. Vall D’Or Golf Club is 6 km from the hotel and the sea is 10 km away. 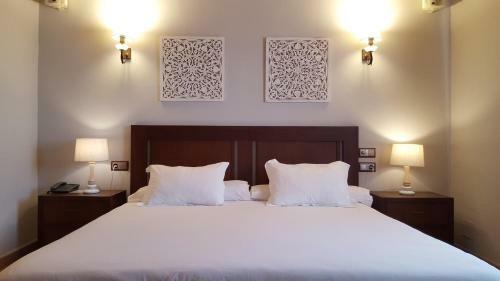 When would you like to stay at Hotel Rural Son Terrassa? Children and extra beds One child under 2 years stays free of charge when using existing beds. One child under 2 years stays free of charge in a child's cot/crib. One child under 6 years is charged EUR 20 per person per night in an extra bed. One child from 7 to 12 years is charged EUR 30 per person per night in an extra bed. One older child or adult is charged EUR 50 per person per night in an extra bed. The maximum number of extra beds/children's cots permitted in a room is 1. Supplements are not calculated automatically in the total costs and will have to be paid for separately when checking out. Any type of extra bed or child's cot/crib is upon request and needs to be confirmed by the innkeeper. The restaurant is closed on Wednesdays. Please note that the bed setup is subjected to availability.